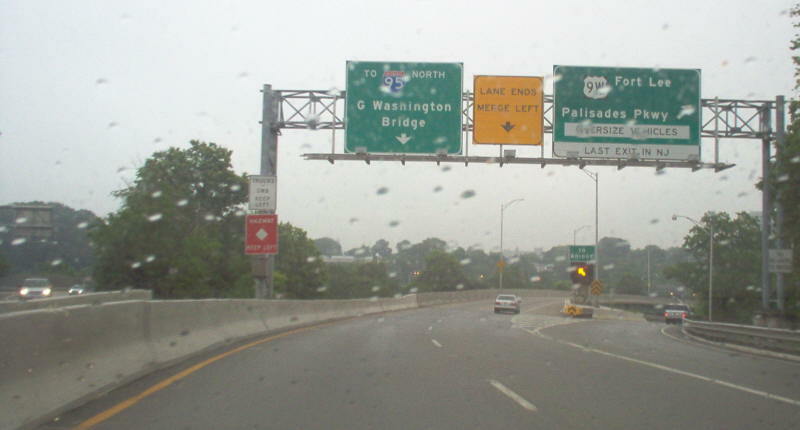 Westbound at the end of the George Washington Bridge (I-95/US 1/US 9/half of US 46). 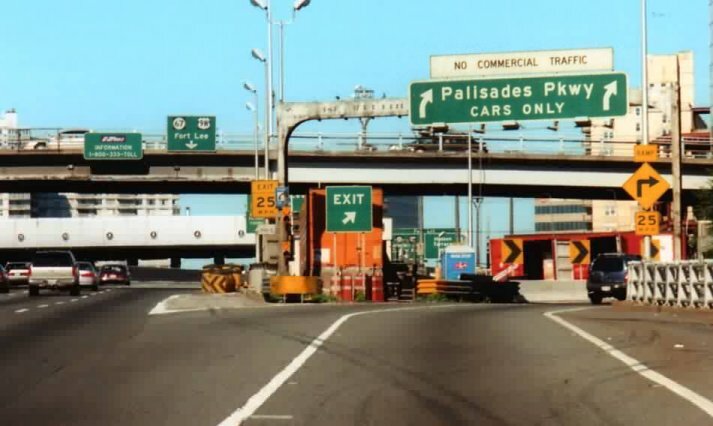 Behind the Palisades Pkwy exit is the exit for NJ 67 and the southern terminus of US 9W. Photo by David Greenberger, taken September, 2000. This rainy view is the ramp from northbound US 1/9 to US 9W and the Palisades Parkway. Photo by Mike Roberson, taken June 24, 2006. The northern terminus as seen from US 9W. 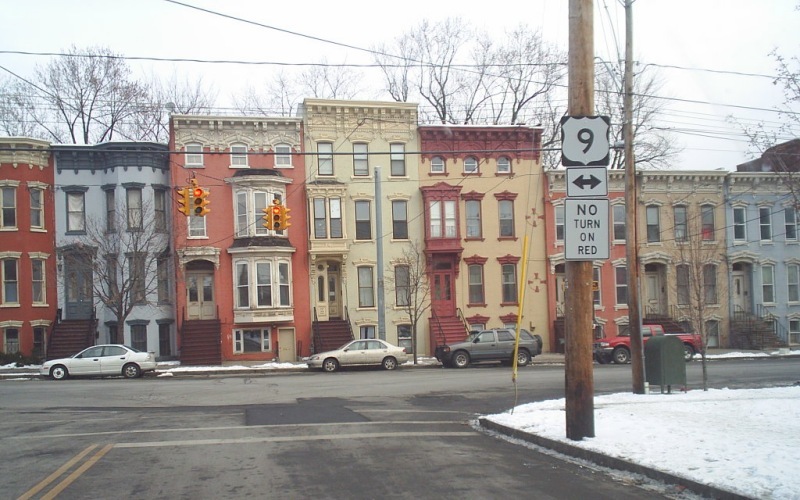 US 9 follows Clinton Ave here while US 9W is on Lark St. Photo by Doug Kerr, taken December 11, 2005.